This was a great memory! I was transported to the vines in your story - and a bit sad not to have a bowl of peaches on hand... Cheers! Very nice write up Dr D!! A terrific story. I've really enjoyed reading all the stories of great memories of wine. A terrific blog entry. 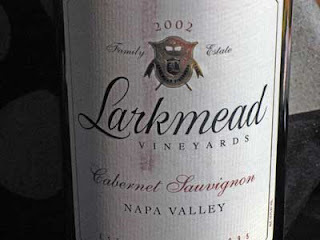 Larkmead was the first "expensive" Cab I bought when I graduated from the plastic cup school of wine drinking. It has never disappointed me.